Just when I thought we were out of the (snowy) woods, then BAM! But, I’m a girl who loves a snow day. It makes no sense at all now that my daughter is in college, but at the first sign of flakes, I watch the school cancellations. And if it’s called off, I play hooky too, snuggled on the couch with a good book and a cup of tea. If the bleak New England February days are getting to you, we suggest the following cozy and cheering activities. 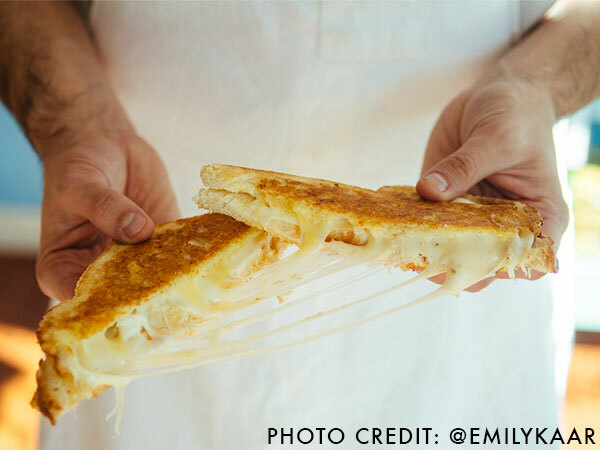 This Shoreline destination for the ultimate in European and American cheeses, is also a hidden gem for arguably the best grilled cheese around. I, once, found myself famished on shopping excursion in Madison and to my delight, a glorious menu of fancy grilled cheese awaited me at Madison Cheese, among the abundant lists of cheeses on the chalkboards. Who knew you could grab a hot pressed sandwich, soup or salad at this bustling cheese shop known for its stunning platters and epicurean gift baskets? I went with the popular, gooey and sublime “Mouse Trap 5 Cheese with Prosciutto.” The recipe changes daily but owner, Fawn was willing to reveal the secret formula: one of each: nutty, sharp, cheddar, mild & sweet and pungent. Really…is there anything more cheering than a vat of bubbling cheese and some lovely crusts of baguette to dunk right in? Ummm, we think not. But don’t end your fondue party there; save room for the chocolate version, served up with a plate of fresh fruit, and cubes of rice krispy treats and pound cake. 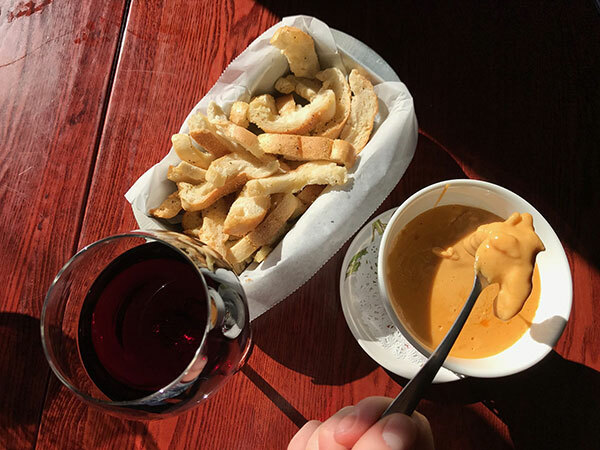 An in-depth wine list will keep the grown-ups happy, and I’ve yet to meet a fondue-averse tot. A perfect Valentine’s lunch or dinner. We’ve been counting on Haylon’s for gourmet take-out since they opened in 2015. When we heard that they were making the switch from Haylon’s Market to Deke’s Bagels, we knew we needed to get sampling and see what all the fuss was about. 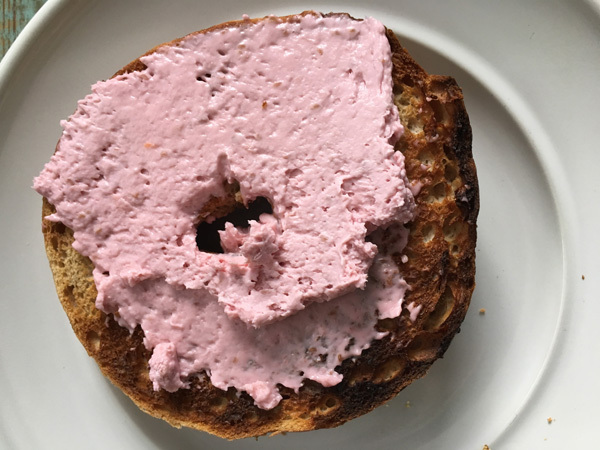 Bagels were on the original menu at the Niantic market and as owner and chef, Deke Haylon puts it, out of the vast variety of offerings, “the bagels always came out perfectly imperfect” so he decided to shift his focus and let them shine. After tasting every bagel on the list, Yes! Yum! Plump and perfectly chewy as a true bagel should be. If you swing towards savory, the Everything is a must – completely coated with crunchy, flavorful goodness. Another keeper is the sharp, cheesy Asiago paired with olive or sundried tomato cream cheese. For the sweets-lovers, the Orange Cranberry or the French Toast with a berry shmear. My personal favorite was the Jalapeno Cheddar, toasted, (cheese sizzling and all), topped with scallion cream cheese. This magical French bakery is our go-to for croissants and all manner of exquisite pastries for dinner parties, but it’s also a sweet spot to wile away the afternoon with a cup of Mariage Frere tea and treats. Before everything was “awesome”, we used other adjectives. My mother’s two favorites were exquisite and elegant, both of which come to mind upon entering Hen & Heifer, Guilford’s French patisserie and bakery. NYC transplant and French Culinary Institute-educated baker, Whang Suh, has finally furnished the Shoreline with THE perfect croissant: a flaky, buttery crust that shatters at first bite with a stretchy, slightly yeasty interior. But you won’t stop there. 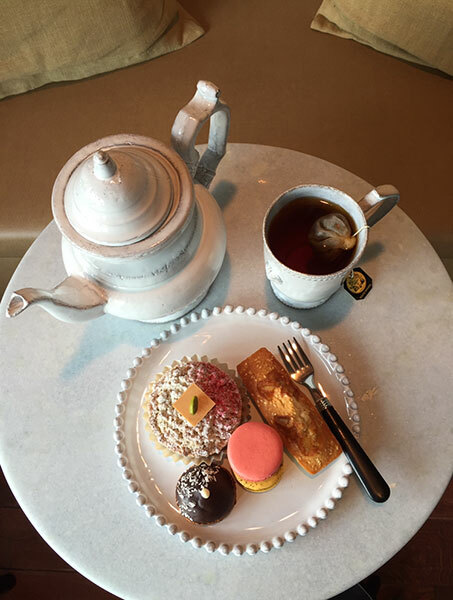 Treat yourself to a cannele, that elusive and tiny French fluted cake with a burnt caramel crust, or a precious box of six delectable (and gluten free) macarons.